Placenames are thin on the ground in the hills between Strathardle and the Tay. The ground is pretty uniform, the land on this side, belonging to the Atholl Estate is mostly heather with scattered trees. 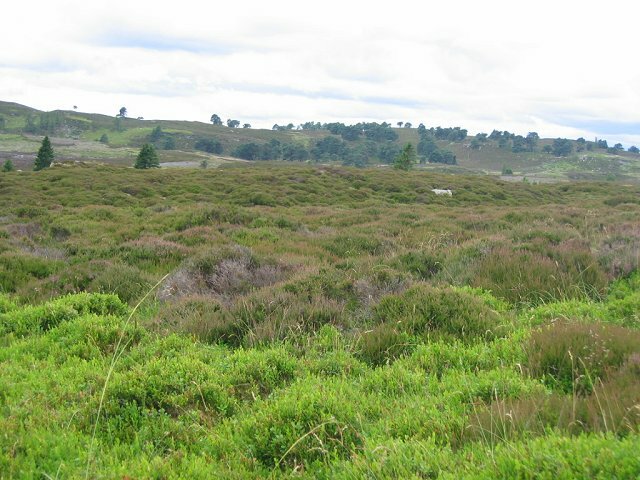 This is a view into the square from the southeast corner, and shows the vegetation, deep heather with patches of blaeberry.